The York 35kg (77lbs) Pro-Style barbell is made from solid steel with chrome plated finish that provides excellent durability and looks. It serves as a great tool not only for gaining strength, but also for building the abdominal muscles. Heads of the York 35kg barbell are encased in virgin rubber that guarantees superb quality and better robustness. 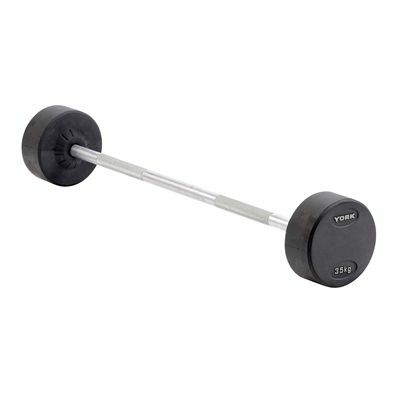 This professional barbell is sold individually. for submitting product review about York 35kg Pro-Style Barbell.